Peace and goodness to you. This is just to express my gratitude once again for your prayers especially before and during my Diaconate preparations. The Missionary Oath and the Diaconate Ordination that took place on 16th and 17th of May respectively. It was marvellous. All went on well and a good number of confreres within the province came to support us. 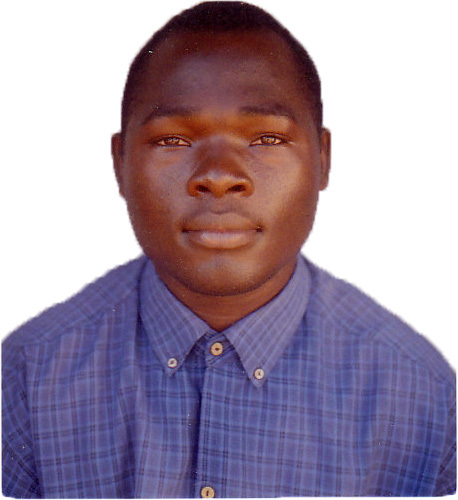 May God continue showering his blessing upon me and the society of the Missionary of Africa. 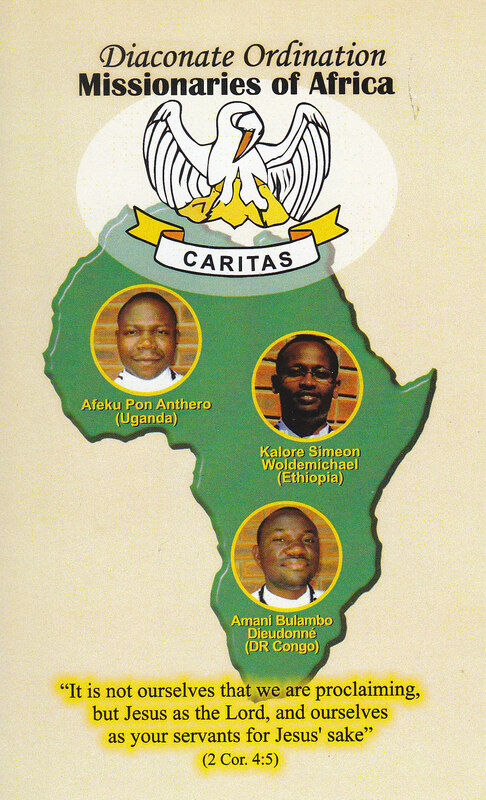 We were five candidates of Missionaries of Africa including Lawrence Tukamushaba who made his stage in Mua, Malawi. So all together were seven. 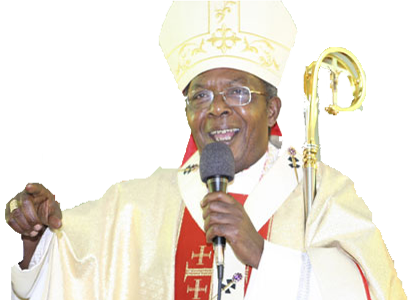 We were all ordained by his Excellence John Cardinal Njue, Bishop of Nairobi Archdiocese, Kenya. Pass my regards to all and stay blessed. Peace and goodness to you all! As for me, I am doing fine. Well, this is just to express my gratitude for recommending me to take the Missionary Oath and receive the ministry of Deacon in the Church. I received the News with joy. I did not reply as soon as I received it because I was busy preparing for my 8 days retreat (from 21st to 28th Feb, 2014) and I could not have time to stay on the ‘net’ for so long. However, as expressed above, I am very happy and I ask you to continue praying for me to God so that he may grant me the graces I need before and after I take this importance step in my vocation journey. What the Lord has done is indeed what no one ever thought could happen and yet it is the very thing God prepared for those who love him in humility (cf. Dt 32:3). ‘For God, nothing is impossible’. The Missionary Oath will be on 16th of May, 2014. 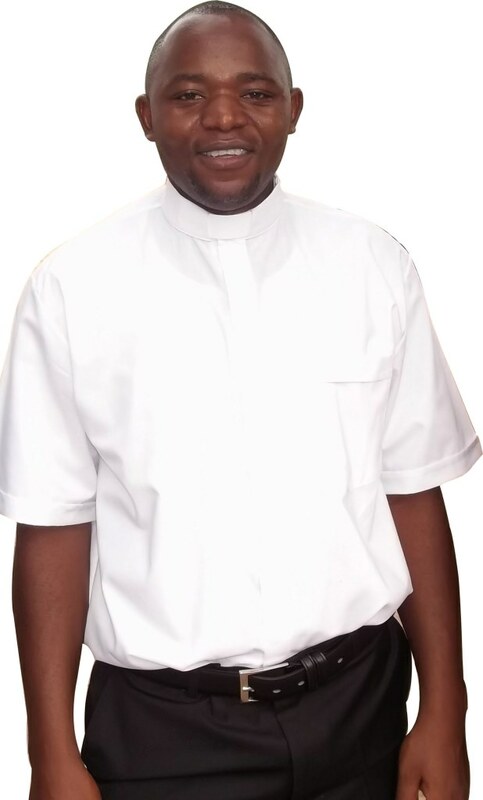 Whereas, the Diaconate Ordination will be on 17th of May, 2014 at our Lady Queen of Peace Parish-Nairobi-Kenya. Thank you very much once again and pass my regards to all. 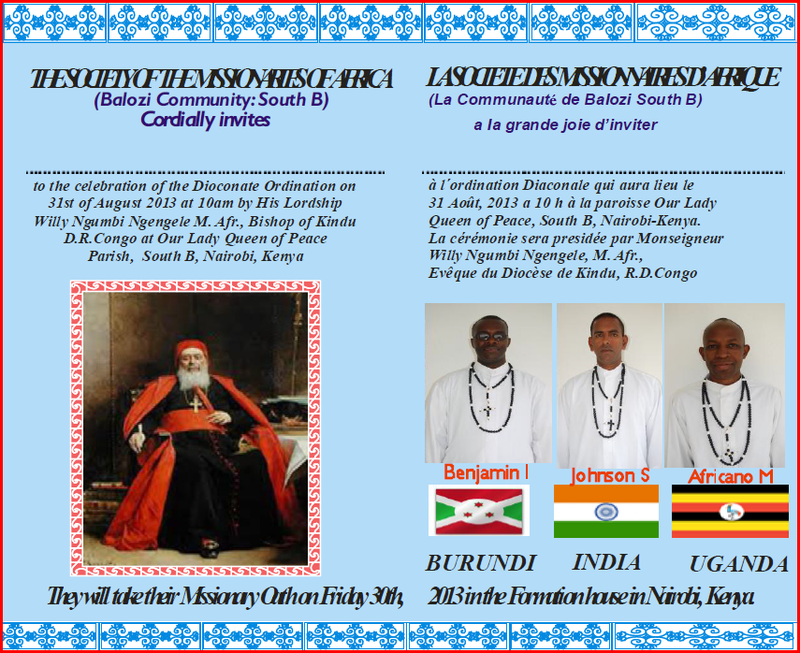 Invitation from the Missionaries of Africa, Merrivale Formation House Community in South Africa. Date: Saturday, 14th December 2013. Venue: St. Raphael Parish, Kwa Mzimba, Arch-diocese of Durban, South Africa. By His Eminence Wilfrid Cardinal Napier OFM, Archbishop of Durban. It was on the 30th of April, Feast of Our Lady of Africa, that I found myself and my companions in the basilica of St. Anne’s well surrounded by friends who had come to witness our Missionary Oath. The Mass was presided over by the Superior General of the Society, Rev. Fr. Richard Kuuia Bawoobr who was visiting the community at that time. Such a day had always seemed to be in a far distance; a day that belonged to the future. However on 30th April, the future and the present embraced and culminated in a ‘Yes’. It was a day full of emotions and trust in the Lord who asks us to stand in His presence and serve Him. 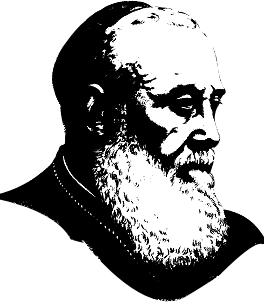 For nine years now, I have journeyed with the Missionaries of Africa and the journey has not always been smooth and easy. Just like anywhere in life, there have been times of joy and of sorrow but in all circumstances the Lord has always stood by me. If I made my final and perpetual commitment, it is basically because of the trust I have in the Lord. My vocation story has less to do with me; rather it has more to do with the Lord. Took place in South B Formation House on Friday the 30th August 2013. The oath was received by the Assistant Provincial in the house of formation and the diaconate was conferred by our confrere Willy Ngumbi, Bishop of Kindu in DRC, at Our Lady Queen of Peace Parish in Nairobi. The Lord has done marvels, holy is his Name! Coming to the end of my third year in theology, I remembered our favourite slogan when I was at Mlale Minor Seminary in Lilongwe Archdiocese, Malawi: “I run strait towards the goal.” It’s very surprising to see that many years have gone since I left Mlale but these words still remain engraved in me. I made my final oath on the 2nd May followed by my ordination as a deacon two weeks after. Nevertheless, I continue meditating upon the same slogan: “I run strait towards the goal.” Thanks to you all who accompany me up to where I am today : my parents, my brothers and sisters, the members of the entire Nyengere family, my formators starting from the moment I was aspiring up to the moment I made my final oath and all the family friends who kept me in their prayers. My missionary life has just begun. Therefore, I continue imploring for your prayers so as to remain strong in my drive to discover how best to serve the Lord. The ordination took place at Marie Auxiliatrice Parish, Commune de Masina, Kinshasa, by Mgr Edouard Kisenga, auxiliary Bishop of Kinshasa. 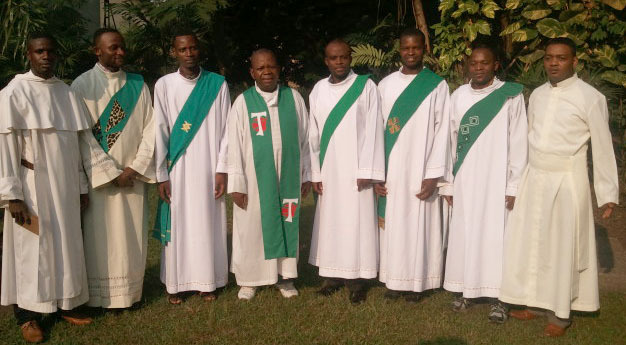 Deacon David Doo Songo from Nigeria, Deacon Michel Ouedraogo from Burkina Fasso, Father Tshibangu Fortunat, Deacon Emmanuel Imani Mwanga Mwanga from DRC, Deacon Remi Nyengere from Zambia and Deacon Bernard Ndiritu Gachuru from Kenya. 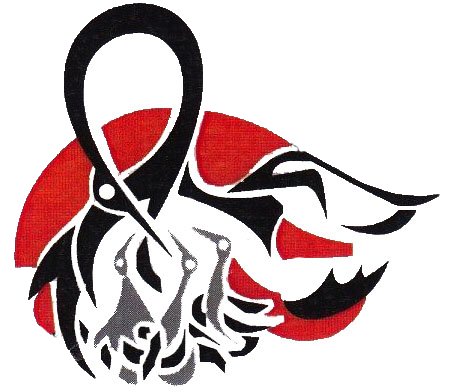 A short history of the Centre for Social Concern at the occasion of clocking 15 years. 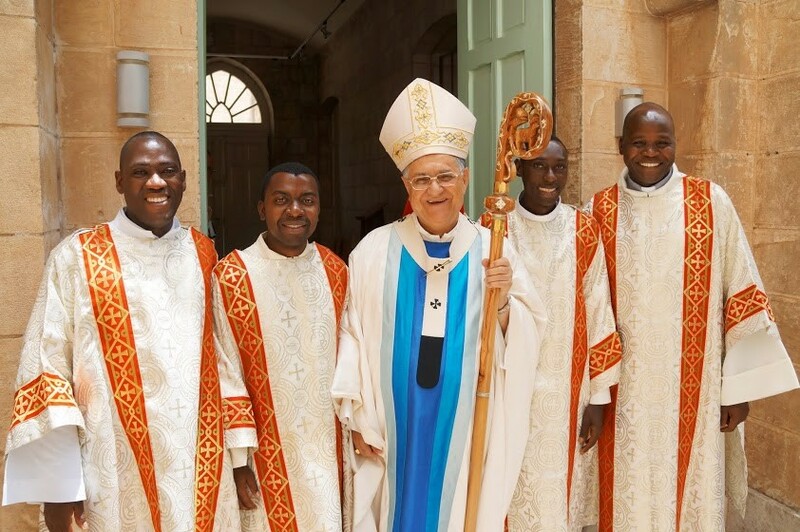 Celebration of the 150th anniversary of the Missionaries of Africa in Chipata, Zambia. Chakwela makumbi rainmaking ceremony of the Soli: A faith event. 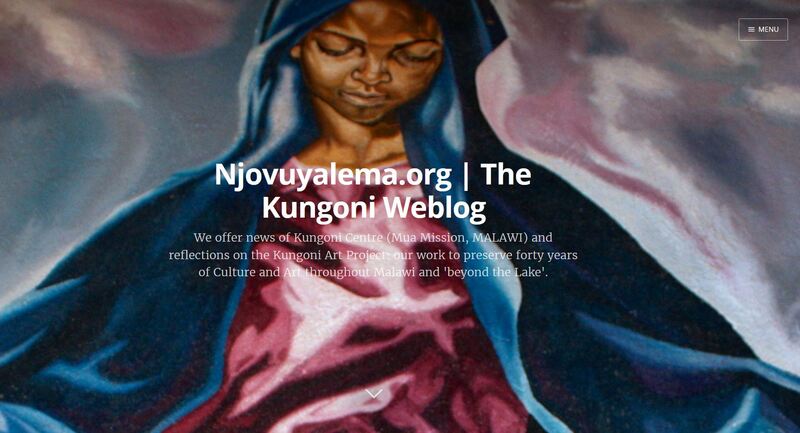 History of the beginning of the Catholic Church in Zambia in Chipata, Eastern Province.